The aim of this study was to compare effect of everolimus on growth of different renal cell carcinoma (RCC) populations and develop experimental design to measure the early response of everolimus in clear cell RCC (ccRCC) cell lines including renal cancer stem cells. 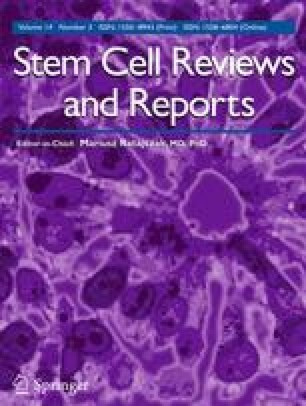 Effect of everolimus on RCC cell lines which include primary (786-0) and metastatic (ACHN) RCC cell lines as well as heterogenous populations of tumor cells of different histological RCC subtypes (clear cell RCC and papillary RCC) was measured when treated with everolimus in the range of 1–9 µM. Gene expression profiling using microarray was performed to determine the early response to everolimus in ccRCC cell lines after optimizing concentration of drug. Gene Set Enrichment Analysis (GSEA) was done which mainly focused on basic genes related to mTOR, hormonal and metabolic pathways. Everolimus acts on RCC cells in a dose—dependent manner. In all examined cell lines IC50 dose was possible to calculate after the third day of treatment. In ccRCC lines (parental and stem cell) everolimus changes expression of mTOR complexes elements and elements of related pathways when treated with optimized doses of drug. Characteristic expression profile for ccRCC cells at an early exposure time to everolimus is to elucidate. Wevarie include some basic observations derived from data analysis in the context of mechanism of action of drug with a view to better understand biology of renal cancer cells. The online version of this article ( https://doi.org/10.1007/s12015-018-9804-2) contains supplementary material, which is available to authorized users. Research supported by Ministry of Science and Higher Education “Diamond grant” no. DI2012007842. The study was designed and developed by AK. Experiments were performed by AK, PK, AVK. Figures were prepared by AK and MIK. Design of experiments was based on AC and CS concepts and previous projects. Creating research design was performed by AK and supported by AMC and MIK. Literature search was performed by AK and supported by AMC. Design of data analysis was supported by MIK and AVK. The manuscript was written and drafted by AK. Draft of manuscript was edited by AK, AMC, AVK, MIK. Scientific work was supported and guided by CS.